If you’re looking for the best dentist in Front Royal, VA, Valley Dental Care is your go-to dental office. Our professional staff uses the latest techniques and technology to provide the quality care residents require. We can help with all kinds of services, including general dentistry in Winchester, VA, as well as cosmetic and restorative care. We go above and beyond to ensure you get the care you need at all stages of your life. As a best dentist in Winchester, VA, our experienced team works hard to protect your smile and help prevent problems from occurring in the future. General dentistry requires regular cleanings and x-rays, as well as examinations to ensure your teeth are in the best condition possible. We understand many people are uncomfortable with visiting the dentist, which is why we work hard to create an environment where everyone can feel more at ease when in the dental chair. If you are experiencing dental problems, our office can handle these issues as well. In addition to our general dentistry in Front Royal, VA, we also provide cosmetic care to help you get a more beautiful smile and restorative care to help get your smile back to the way you want after cavities, lost teeth and more. We take great pride in offering a customized treatment plan for each of our patients to ensure the healthy, beautiful smile they need. We genuinely hope this site is helpful to you in learning more about our dental care practice, dental conditions and treatments, dental recommendations, and more. 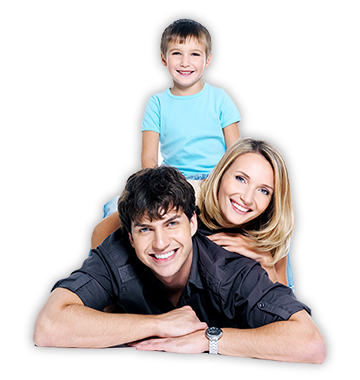 Please browse through our website and be sure to give us a call if you have any questions or would like to schedule an appointment with our world-class dentists in Virginia . Usually recommended every six months along with an oral hygiene exam and x-rays. Dental cleaning is performed by a dental hygienist to remove calculus, stains and plaque from your teeth. Our practices provide a wide range of cosmetic dental services at the affordable fees that Gentle Dental patients have come to expect. At Gentle Dental, we have specialists on staff, so there is no need to be referred to other practices. Our experienced doctors can provide the care you need to have a beautiful smile. Repairing chipped or cracked teeth. A crown (or cap) is a covering that encases the entire tooth surface restoring it to its original shape and size. A crown protects and strengthens tooth structure that cannot be restored with fillings or other types of restorations. A crown can be used to address decayed teeth, fractured fillings, large fillings, and teeth that have had a root canal. A dental bridge is a fixed (non-removable) appliance and is an excellent way to replace missing teeth.There are several types of bridges. You and your dentist will discuss the best options for your particular treatment plan. The “traditional bridge” is the most popular type and is usually made of porcelain fused to metal. Porcelain fixed bridges are most popular because they resemble your natural teeth. This type of bridge consists of two crowns that go over two anchoring teeth (abutment teeth), filling the gap created by one or more missing teeth. A fixed bridge can help maintain facial shape, prevent remaining teeth from drifting out of position, restore chewing and speaking ability, restore your smile and upgrade a removable partial denture. Getting a bridge usually requires three visits. While the teeth are numb, the two anchoring teeth are prepared by removing a portion of enamel to allow for a crown. Next, a highly accurate impression (mold) is made which will be sent to a dental laboratory where the bridge will be fabricated. In addition, a temporary bridge will be made and worn for about three weeks until your next appointment. At the second visit, the bridge foundation, known as the framework, will be carefully checked to ensure a proper fit. A shade is selected in order to ensure an appropriate match of the porcelain with your adjacent teeth. The temporary bridge is cemented back in your mouth. At the third visit (usually 2 weeks later), the permanent bridge is ready to be inserted. It is tried in, adjusted, polished and inserted with a permanent cement. A Complete denture may be either “conventional” or “immediate.” A conventional type is made after the teeth have been removed and the gum tissue has healed, usually taking 4 to 6 weeks. During this time the patient will go without teeth. Immediate dentures are made in advance and immediately placed after the teeth are removed, thus preventing the patient from having to be without teeth during the healing process. Once the tissues shrink and heal, adjustments will have to be made.NEW: Gentle Dental Arlington is now offering Pala digital dentures! Get a perfect smile in just 2 visits. With Pala Digital Dentures, the digital records are kept on file, so dentures can be easily duplicated or remade without impressions. Dental implants are a great way to replace missing teeth and restore a beautiful smile. At Gentle Dental, our Doctors and Specialists are experts at restorative dental care and can design a treatment plan just for you. With competitive fees and payment options, we help make dental implants affordable to see if dental implants are right for you. Dental implants are artificial roots and teeth (usually titanium) that are surgically placed into the upper or lower jaw bone by a dentist or Periodontist, a gum specialist. The teeth attached to implants are very natural looking and effectively enhance or restore your smile. In addition to replacing missing teeth, implants can also provide a fixed solution to removable partial or complete dentures. Implants provide excellent support and stability for these dental appliances. Dental implants are very strong, stable, and durable and will last many years. • To restore a confident smile. • To restore chewing, speech, and digestion. The process of getting implants requires a number of visits over several months. X-rays and impressions (molds) are taken of the jaw and teeth to determine bone, gum tissue, and spacing available for an implant. While the area is numb, the implant will be surgically placed into the bone and allowed to heal and integrate itself onto the bone for up to six months. Depending on the type of implant, a second surgery may be required in order to place the “post” that will hold the artificial tooth in place. With other implants, the post and anchor are already attached and placed at the same time. After several weeks of healing the artificial teeth are made and fitted to the post portion of the anchor. Because several fittings may be required, this step may take one to two months to complete. After a healing period, the artificial teeth are securely attached to the implant, providing excellent stability and comfort to the patient. "Dr Adeeb and staff were great! They made us feel welcome and valued patients from the very beginning. They always take great care of us! Genuinely caring and hospitable. We felt at home right away. Thank you!" YELP - Camilla V.